Traveling to Croatia? Then it might be a good idea to learn a few Croatian Phrases. Here’s a list with useful words and phrases as well as some more information about the language itself. Most of the younger generations will speak English fluently, but there are still some from the older generations which only speak basic English or none at all. That’s why you should learn a few local phrases before your trip. This is also often appreciated and will make it easier to get a connection with the Croatians, and I promise it will be a more memorable journey! Below you can see the translation from English to Croatian for some of the most common phrases. Have a nice day Lijep ti dan želim! How do you get to …? Kako mogu doci do…? What does this mean? Što ovo znači? Can you translate this for me? Možete li to prevesti? Where is the toilet? Gdje je zahod? How much does it cost? Koliko košta ovo? Leave me alone! Pustite me na miru! Call the police! Pozovite policiju! Can I pay by card? Primate li kreditne kartice? Can I see the menu? Mogu li dobiti jelovnik? I want to pay, can I have the bill? Želim platiti. Mogu li dobiti račun? Below you have the words written in English to the left, and how to write them in Croatian to the right. While you’re learning a few local phrases and words, it might be useful to learn how to count from 1 to 10 in Croatian as well. Croatian is a Slavic language which is part of the Indo-European language family. It is mostly spoken in Croatia, but also in some parts of Bosnia and Hercegovina as well as other countries with Croats. 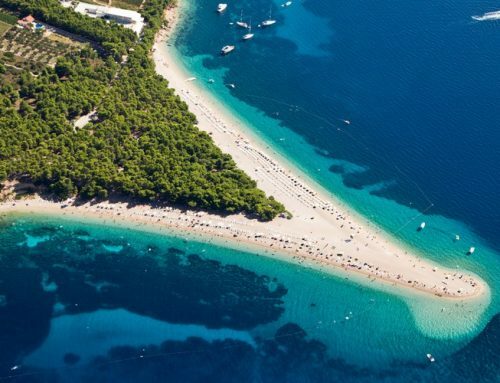 It is estimated that there are about 5,6 million people who speak Croatian fluently. The language is very similar to Bosnian, Montenegrin, and Serbian, and most of the times, people from all these nations can understand each other without too much difficulty. But there are still differences in words and pronounciations. On top of that, there are also 3 main dialects of the Croatian language known as Shtokavian, Chakavian, and Kajkavian. It also differs because the Croat culture is more similar to Central European countries than other Balkan countries. The Croatian language has a total of 30 letters, which are the following: A B C Č Ć D Dž Đ E F G H I J K L Lj M N Nj O P R S Š T U V Z Ž. Back in history, Glagolitic alphabet and later on the Cyrillic alphabet before changing to the Latin alphabet in 1830. Google Translate is the best option if you want to translate some single words or easy phrases. It’s not completely reliable and it does have its fair share of wrong translations, but it’s often good enough to make yourself understood. You can download the app and use it offline, which is quite convenient if you don’t have access to the internet. There are many Croats living in Sweden and other countries in Europe as well as Australia/New Zealand and the US. So there’s a quite good chance that there will be Croatian lessons available at your local university. This is a good way to learn the language since you will be led by a teacher who is fluent, and thus you can ask questions and practice your speaking skills and pronunciation. Another great way of learning other languages is to watch TV-series and movies in the local language with subtitles in your own language or English. There are also online platforms available where you can pay 20-30 Euro for 30-60 minutes sessions with a private teacher who speaks Croatian fluently. This is yet another good way to practice and make sure that you’re doing some progress. Want to learn more phrases in Croatian? Leave a comment below!